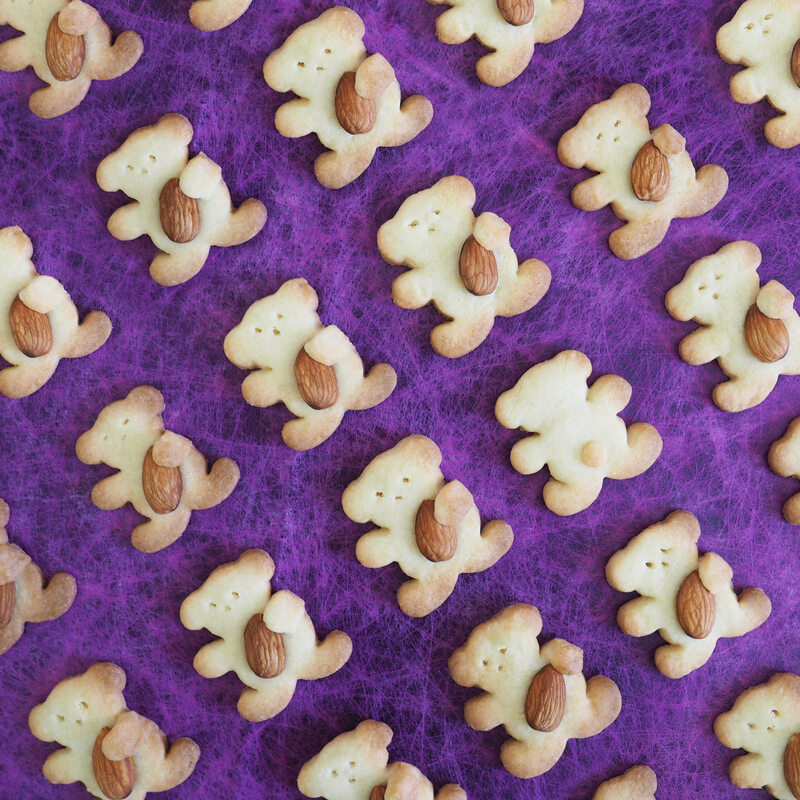 Last weekend I made almond teddy bear cookies for my favourite little girl, Isla Bear’s 2nd birthday party! After a couple attempts at batter that was not holding and tasting as good as I’d like, the third turned out great and was a hit! It’s super simple, so I thought I’d share! Step 1. Pre heat oven to 180°C. Place butter and sugar into a large bowl and combine with an electric mixer. Step 2. Beat in the egg, vanilla essence and baking powder. Step 3. Add the flour, 1 cup at a time, combining after each. Step 5. Using any cookie cutter, press in and cut away! Step 6. On an oven pan, lay down some baking paper before laying out the cut biscuit dough on top. Step 7. Placing an almond in the centre of the biscuit dough, gently wrap a hand or foot around the almond to hold it in place. Step 8. Bake these for 6-8 minutes or until the edges are a golden brown. Step 9. Let sit for a minute before serving to maintain their shape. Extra. Why not make a couple cute bear backsides while youre at it? After you cut out the cookie shape, create a small ball and place as a tail.